Rustic wood has been a part of home design for thousands of years. From a rustic cabin to a Craftsman home to a modern design, natural wood conveys warmth and charm and evokes a homey atmosphere no matter what your style. Van Dyke’s has added a new line of rustic corbels, braces, brackets, outlookers and rafter tails to our already expansive offering of wood items. These handcrafted wood products are made of solid wood including Cherry, Maple, Red Oak, Alder, and Walnut, and are offered in many sizes and styles including Traditional and Craftsman. Our rustic wood products are rough-sawn to achieve the rustic appeal and are perfect for any kind of wood project. These kiln dried wood pieces contain unique colors, grains, textures, knots, sap, splitting, and cracks that make them unique and stand out from the rest. This new rustic wood collection complements our wide selection of smooth-sawn wood products. 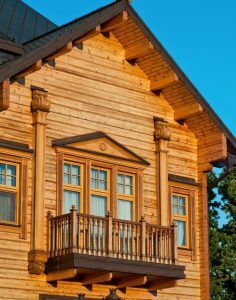 Corbels are one of the most common and versatile wood products and come in many styles, designs, and sizes. The New Restorers Rustic series is Traditional in style with simple lines and curves. They are perfect for all your primitive and country projects. 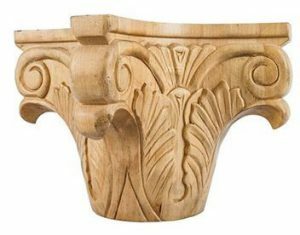 We also have corbels in the most popular smooth styles including Acanthus Leaf, Scroll, Mission, Arts & Crafts, Fluted, Grape, Shell, Feather, Basket Weave, Lion Face, Nautical, and Modern. Corbels are used for shelving, under mantels, kitchen cabinets, kitchen counters and islands, and for decorative accents in doorways and entryways. Outlookers are new to our selection and are most often used in roof construction as part of the roof eave that supports the portion of the roof beyond the gable. Choose from over 20 designs. 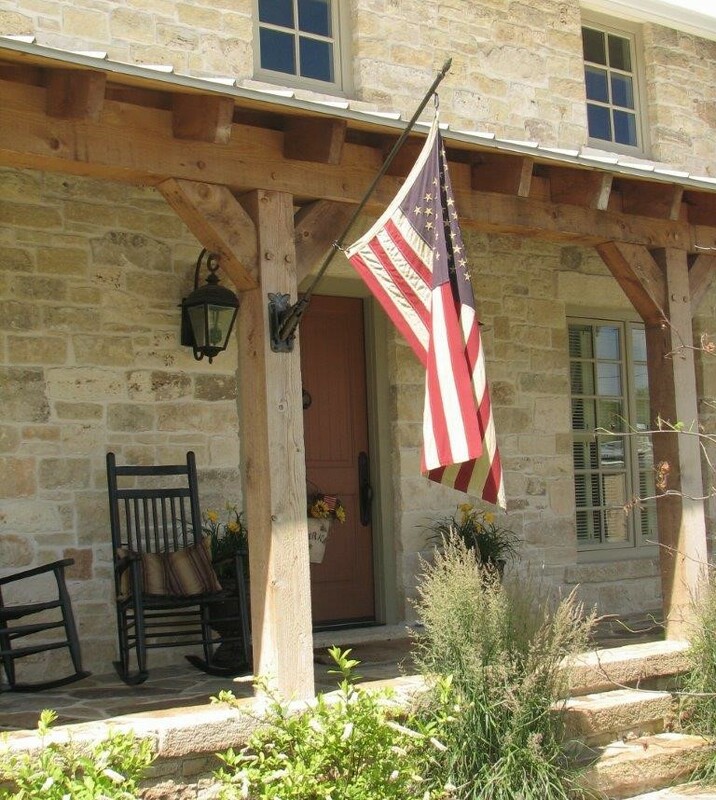 Decorative Rafter Tails are a great way to add a design element to your roof line. Rafter tails were originally a part of the framing of the roof and were either exposed or closed with fascia and soffit. 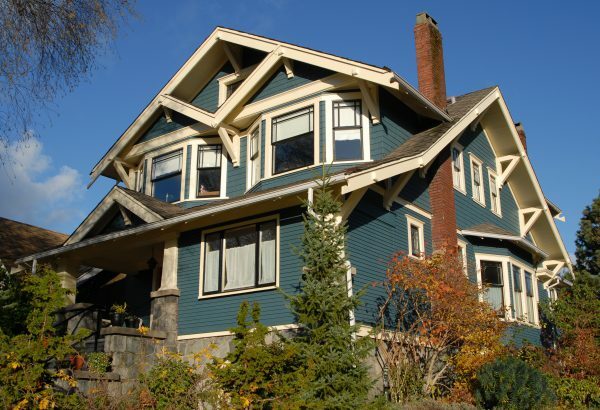 Exposed rafter tails are common on roofs of Craftsman-style homes. Decorative rafter tails are purely used for visual effect. They are installed under the roof deck and attached to the frieze board and appear to be an extension of the rafters. Choose from a dozen notched styles in a number of lengths to suit any application. A new collection of Wood Carvings called New Restorers Architectural Carvings includes Capitals and Plinths, Corbels, Island Legs, Wood Shelf Brackets, Appliques, and Ceiling Medallions. Top a column or pilaster with a beautiful Corinthian, Acanthus Leaf, or Roman-style Capital. 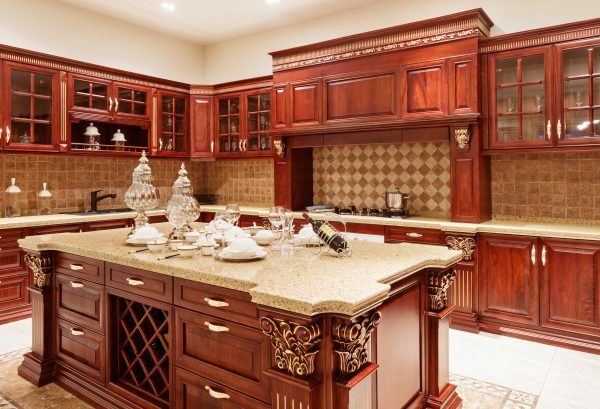 These decorative architectural pieces can also be used as an ornamental piece on range hoods, mantels, and furniture. They are offered in several wood species and widths. Plinth Blocks are decorative pieces used where door trim meets the base molding. This non-load bearing block is also used at the base of a pilaster, column, and other architectural pieces. Island Legs – Our Restorers Architectural collection of Island Legs can be used in a variety of different ways and are most commonly used with kitchen islands. Kitchen islands are a must-have in today’s homes and are used for food prep, dining, and as a gathering place for coffee and conversation. Island legs are also ideal for fireplace surrounds, under bathroom vanities, and in entry ways. Each column is hand carved, sanded, and comes to you ready for your paint or stain. Island legs are available in many design patterns to complement any decor and design style. Our Carved Wood Shelf Brackets are great for beautiful and functional shelving supports. These heavy-duty brackets are also used to support countertops, cabinets and mantels. They come in several wood species, sizes, and designs and are sanded and ready to finish. Restorers handcrafted Wood Appliques are the perfect accent for walls, furniture, cabinets, mantels, and more. Crafted after traditional and historical designs, each piece is carefully carved and then sanded ready to stain or paint. Bring the beauty of a hand carved wood to your ceiling with one of our beautiful wooden Ceiling Medallions. These exquisitely detailed medallions are hand carved by master artisans to give an authentic carved wood look. Wooden ceiling medallions are ideal for historical and restoration homes as well as new construction. Medallions install easily with screws or nails and construction adhesives. Update the look of your home with new wood products from our Rustic and Architectural Carvings collections.